The 2016 Honda CR-Z was removed from the showrooms around the world due to the high price of $38,490 for a sport hybrid that didn’t offer as much as its competitors did, like the Toyota 86 and Hyundai Veloster. Faced with weak sales, Honda gave the CR-Z a facelift, hoping that a makeover will get the sales back up for a model that was released this year. The new, updated version goes on sale in October. Starting from the exterior, visually speaking, the updated 2016 Honda CR-Z has sportier and sleeker end. The front end now has a new grille enhanced with LED headlights. On the back, Honda has added side skirts to accompany the new tweaked design. The 17 inch alloy wheels are the cherry on the icing. The back tiers have been pushed out, which gives the sporty hybrid a solid stance. 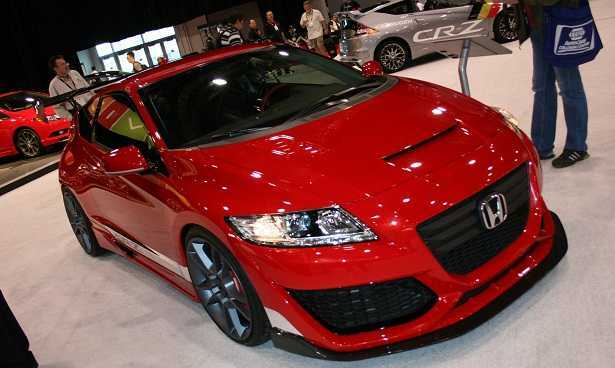 A sportier look like that requires new color and Honda has added Velvet Purple Pear exterior hue as an option. The CR-Z remains stuck in the middle between a sports car and a hybrid car. 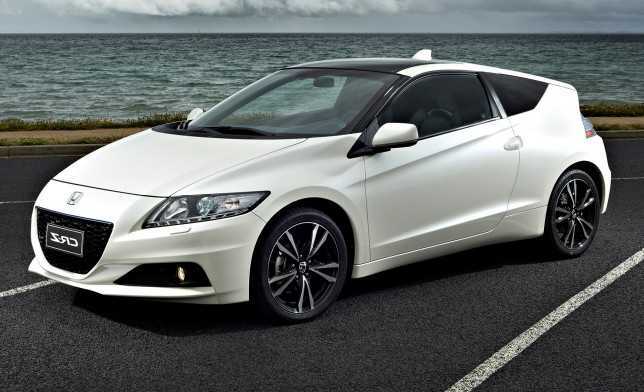 Honda markets the CR-Z as the only sports hybrid that is fun to drive, but also environmentally friendly. Therefore, the engine under the hood remains unchanged. The 2016 Honda CR-Z still runs the same 1.5-liter gasoline engine with four cylinders and a small electronic motor. The end result is 134hp and 190nm of torque. Inside, owners will find few subtle changes. For starters, the car now has a start button with a new look, new infotainment system, an updated stereo system and a system for electric park brake. Tech goodies making its way in are a touch-panel screen for audio, and an active noise cancellation technology. Mechanical changes are not visible and they are subtle. Limited to the chassis, Honda’s engineers has added driver’s armrest. The disc brakes have also been increased, with the new size reaching 15 inches. It is just an inch increase, but the added space has allowed for a better wheel design that shows the new hardware of the CR-Z. Visually speaking, that inch has made quite the difference. While there are rumors that Honda might one day offer a full gasoline model of the CR-Z in order to make it sportier and faster, Chief engineer Terukazu Torikai has dismissed those rumors, saying that Honda is committed to the CR-Z as it is, a hybrid version. Keeping the vehicle a hybrid is the key to Honda’s success. Sales in the US have dropped by 34% last year, mostly because of the emergence of more efficient low end models such as the Chevrolet Volt and the Nissan Leaf.